Brian Beckenheimer! Brian creates beautiful pottery by using a wheel and throwing clay onto it. 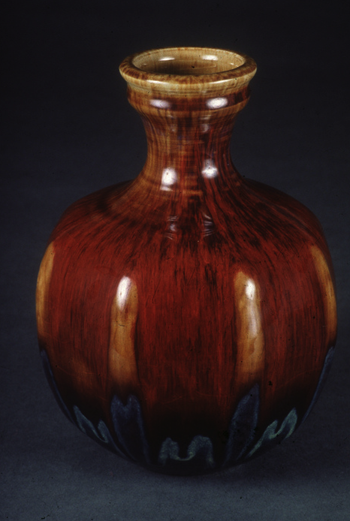 He uses special glaze effects to achieve the beautiful color on his pieces of art work. Scott Davidson! Scott is a very talented photographer. 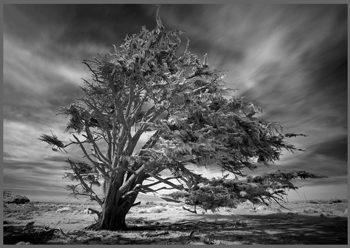 This photograph in the picture above is called “Cypress”. He used black and white infrared to make this specific photograph look the way it does. It is stunning! Daina Dickens! As you can see from the picture above, Daina is a very gifted and accomplished jeweler. 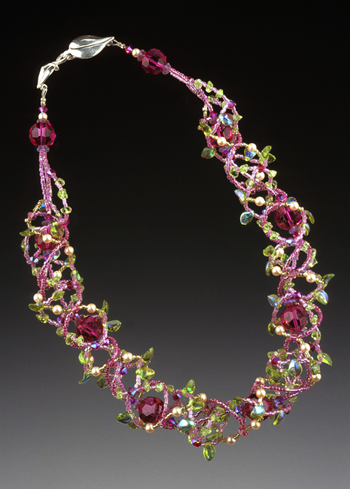 Her specialty is creating handmade glass beaded jewelry. She uses a 3-dimensional bead weaving technique that she developed. As you can see, her jewelry is lovely! Julie Keaten-Reed! She considers her artwork unconventional because it is a hybrid of Western and Asian traditions. 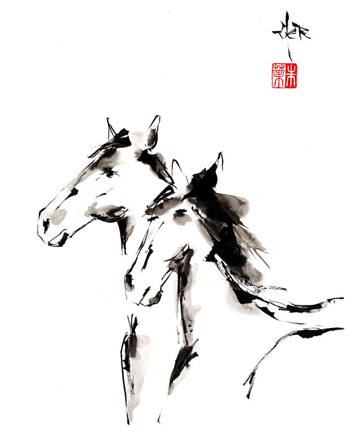 Here is a quote from Julie’s artist statement on her web page: “The conflicting impulses of following the Asian art aesthetic which I admire so much and the desire to explore themes from my Western art heritage led to the blend of styles and techniques I use today.” Her artwork will definitely add uniqueness to Shadyside. If you would like to read more about Julie and see her artwork, you can click HERE. We cannot wait to see all of our artists this weekend in Pittsburgh, PA.! For those of you who do not know all the details… I am going to list everything you need to know about the 13th Annual Shadyside… The Art Festival on Walnut Street! Why: To support the arts and local community. See a complete list of Participating Artists HERE. Watch the YouTube video of Shadyside HERE. Remember to follow us on Facebook & Twitter!! We Have A Weekend Off! There must be something wrong with our calendar! Could there have been a mix-up? It is a rare occasion when we do not have an art or craft festival happening on a weekend. Our next art festival is not until August 28th & 29th, and it is the 13th Annual Shadyside: The Art Festival on Walnut Street. With this blog, I would like to share with you some of the artists that will be participating in this fantastic art festival. We want to get you as excited as we are! Next week, I will continue to give you more information and include several more artists that will be attending. Kana Handel! She will be joining us at Shadyside, and we are very excited. Kana is originially from Tokyo, Japan. She studied art at the Musashino Art University in Tokyo. Then, Kana moved to the United States in 1992, and now she resides in Gainesville, Florida. One of my favorite quotes from her web page is: “Because there are already too many negative things in the world, being the artist that I am, I want to create positive energy in my work”. You can see more of her artwork and read her bio HERE. The second artist I would like to share with you is Pat Little. Pat Little creates digital images that are spectacular. The colors are simply incredible! This image above was created from 2000+ image combinations. If you would like to see more of Pat’s artwork, click HERE. Next, we have Barbara Nelson! Barbara has always loved jewelry, and she feels fortunate to be able to work with silver and gold. All of her pieces are very unique. Anyone would be lucky to own one! 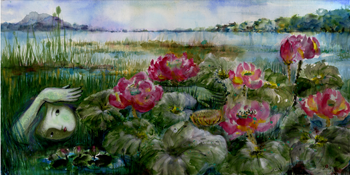 Barbara has a fantastic web site where you can learn more about her artwork HERE. Our fourth and final artist that I am going to share with you today is David Royce. 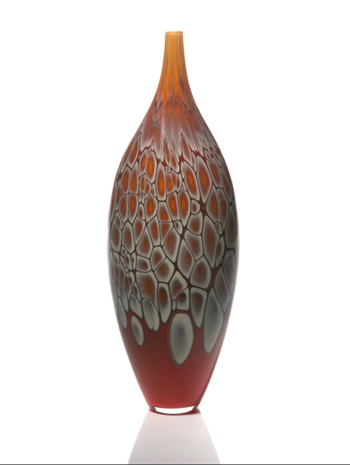 David creates unique pieces from glass blowing. You can see from the picture above that he is very talented. This is something he has had a passion for since he was 15 years old! If you would like to see more of David Royce’s beautiful creations, click HERE. I hope this created even more excitement for our 13th Annual Shadyside… The Art Festival on Walnut Street that is going to be held next weekend! We will continue to supply you with more details as we get closer to the art festival. Questions, Comments, Concerns? You can leave us a comment below OR join us on Facebook & Twitter. You can also email us at: info@artfestival.com. Make sure to join us here!! I knew the title of this blog entry would make you want to read more! 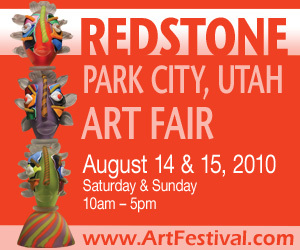 Well… next weekend (August 14th & 15th) we have a brand new show that will be in Park City, Utah… the RedStone Art Fair! We will be transforming the vibrant retail and dining district at RedStone into an outdoor art gallery. 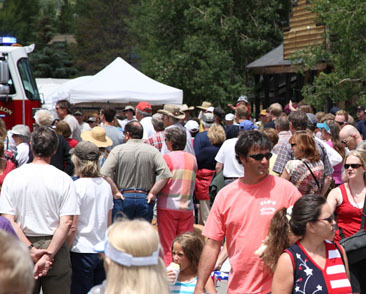 The RedStone Art Fair in Park City, August 14th & 15th, 2010, will delight locals and tourists alike with an eclectic mix of the country’s top established artists as well as new and emerging talent. At this art festival, artistic media represented include paintings, life size sculptures, photography, glass, wood, jewelry, collage and ceramics. In case you were not aware, we (Howard Alan Events) produces the Downtown Aspen Art Festival and the Beaver Creek Art Festival in addition to several of the country’s most popular award-winning high-end art festivals. We are pleased to bring a show of this caliber to Park City. The artists will line the streets of RedStone with their gallery style display booths and will be on-site for the entire duration of the art fair, available to meet and speak with the public about their art and inspiration. The artists were juried by an independent panel of expert judges, and hand-selected from hundreds of applicants based on quality and diversity. All of the artwork is original and handmade in America. The Art Festival makes the arts accessible to a broad audience. Prices range from $25 hand-designed earrings to $20,000 metal sculptures. And did I mention that $15 million in art will debut at this art festival? The art fair appeals to family and friends as a free and fun weekend activity, as well as serious art buyers looking to add to their collections. We will see you in Park City!! Questions, Comments, Concerns? Write a Comment below OR join us on Facebook & Twitter. Visit Frisco, CO. this Weekend!! Dan and Nisha Ferguson! These artists create beautiful sculptures that are made from bronze and ceramics. 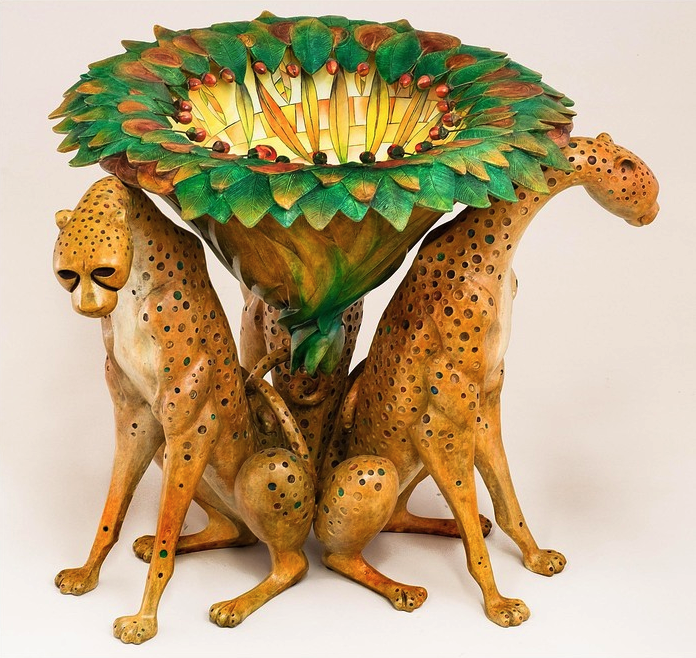 This piece above is called the “Cheetah Trio”. Dan accurately molds the sculptures while Nisha paints them with beautiful colors to give their artwork a natural look. This duo creates their artwork together, which is why they call their company DaNisha. 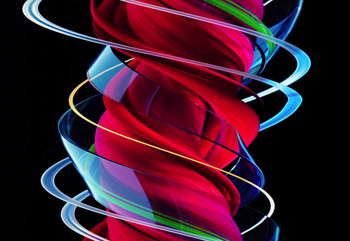 If you would like to see more of their bright and elegant scupltures, then check-out their website HERE. Another artist who will be joining us this weekend in Frisco is Tricia Anderson. As you can see from the picture above, the jewelry that she makes is absolutely beautiful. This piece in particular is called “Spyder Mine”. 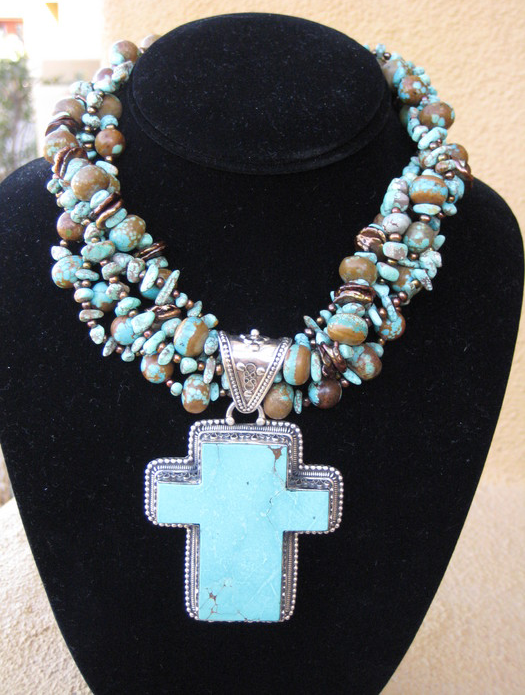 The necklace is made of sterling silver and turquoise. 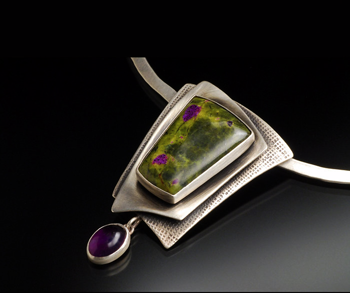 Unfortunately, I do not have a website for Tricia, but you can go to the 4th Annual Main Street to the Rockies Art Festival and see her jewelry for yourself! We cannot wait to see you this weekend!! Questions, Comments, Concerns? Do not hesitate to contact us! Comment below OR join us on Facebook & Twitter. 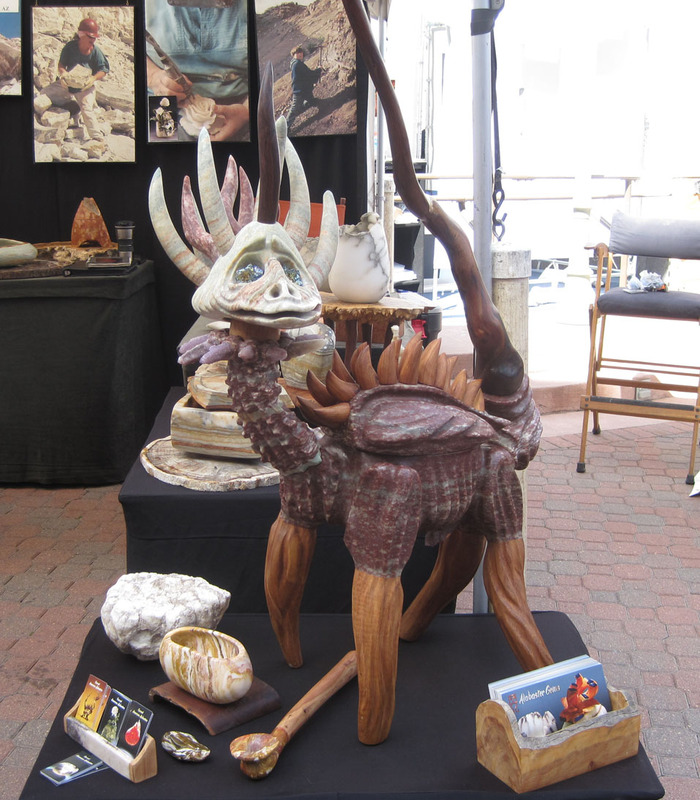 Look what we found at the 23rd Annual Beaver Creek Art Festival this past weekend. As soon as we saw this, we just had to know more about it! Luckily the artists, Paul Hawkins and Susan Zalkind, were able to fill us in! The creature that you see above is called “Dilemma”. Dilemma is one of the Great Horned Doodleysquats. He stands almost 4′ high x 18″ wide x 3′ deep. It is carved from rare colored red and green Alabasters, Desert woods and inlaid with an array of gemstones. The Doodleysquats are contemporary American ‘house gods and goddesses’. If you put them in the center of your home they’ll keep away all you need kept off (for example: evil neighbors, tax collectors). The Doodleysquats are also becoming extinct species of individual expression. Have you ever seen anything like it? We sure haven’t! If you would like to check-out Susan Zalkind and Paul Hawkins’ website, you can click HERE. Questions, Comments, Concerns? We would love to know! Comment below or join us on Facebook and Twitter. Don’t forget that the 4th Annual Main Street to the Rockies Art Festival in Frisco, Colorado is THIS weekend (August 7-8)!! I know we just wrote a blog to get you excited about Beaver Creek this weekend. But, I have some exciting news that I want to share with you. The Park City Art Fair at Red Stone is rapidly approaching! It will be held on the weekend of August 14th-15th. I know this is exciting news, but I have something else to tell you. We will be on the front page of This Week in Park City (which is a great visitors guide)! The issue comes out on August 1st, which is this Sunday! Additionally, we have an article, too. So, make sure you pick-up a copy and tell us what you think! Questions, comments, concerns? Leave a comment below OR follow us on Facebook & Twitter. 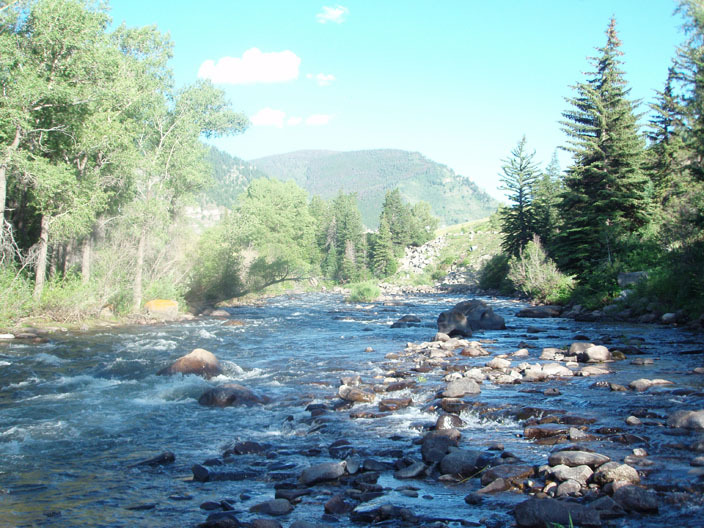 Doesn’t this picture make you want to visit Beaver Creek? 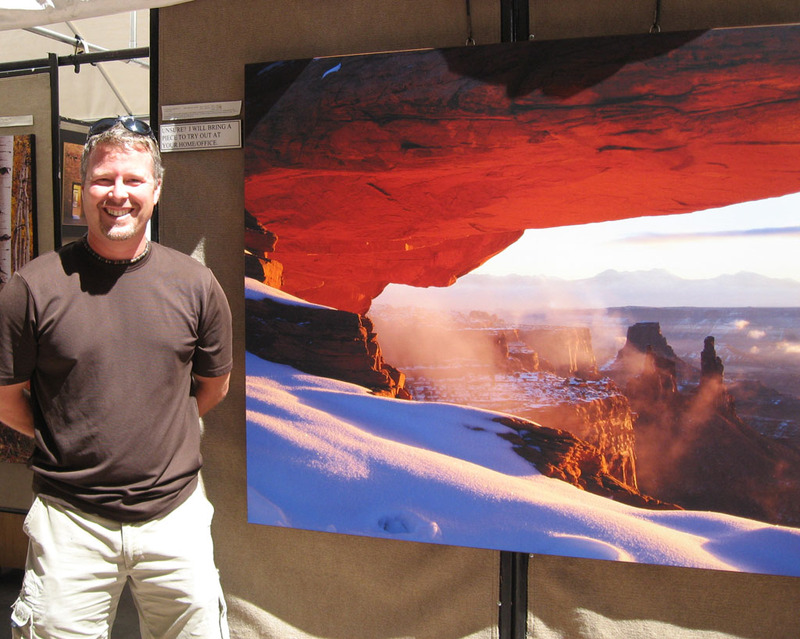 This photo was taken by Howard and Darrin last year when they attended the Annual Beaver Creek Art Festival in 2009. The view is breathtaking! What a perfect place to spend the weekend. Because I do not have photos to share with you from the 23rd Annual Beaver Creek Art Festival (but I will share them next week! ), I am going to tell you what to expect! Last year was a great show, and we do have returning artists who will be attending the show once again. Tim Zandee is a one-of-a-kind. 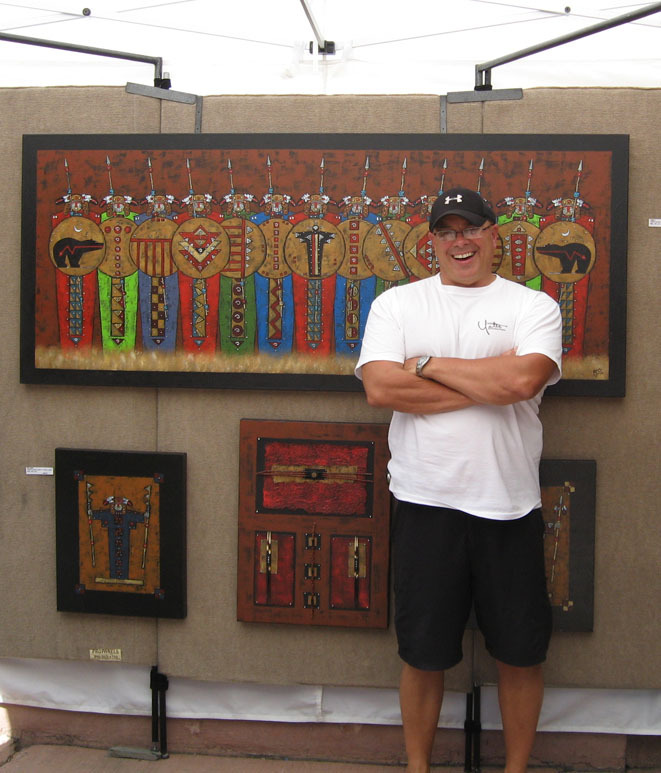 Tim was present at our Beaver Creek Art Festival in 2009, and he will be returning this weekend for our 2010 Beaver Creek Art Festival. Tim specializes in photography of natural scenes. The way he captures a picture is magical. His work is very inspiring. Unfortunately, I do not have a website for Tim, but if I did, I would share it with you! 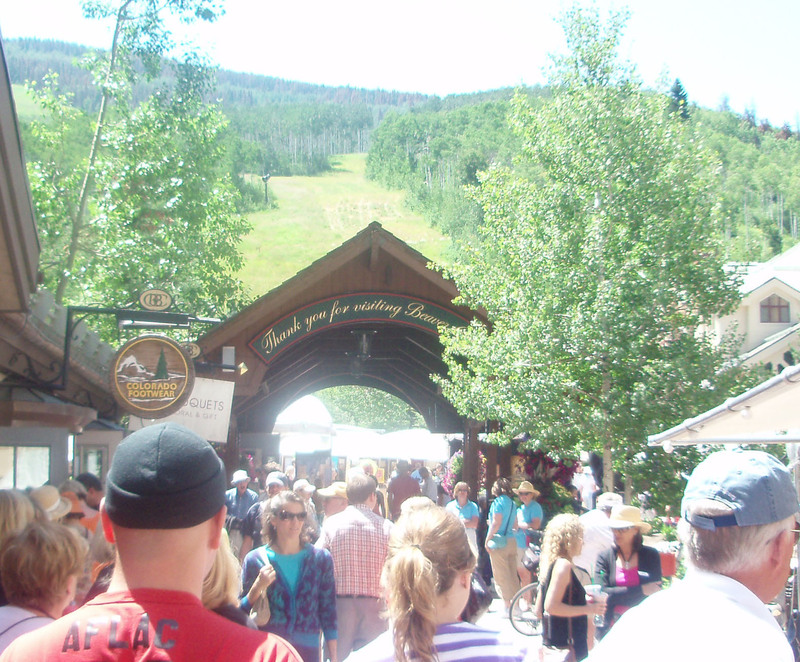 I hope you are excited about the 23rd Annual Beaver Creek Art Festival this weekend. If you would like to find out more information, you can click HERE. Any questions, comments, concerns? We want to hear them! Leave a comment below OR contact us on Twitter & Facebook.